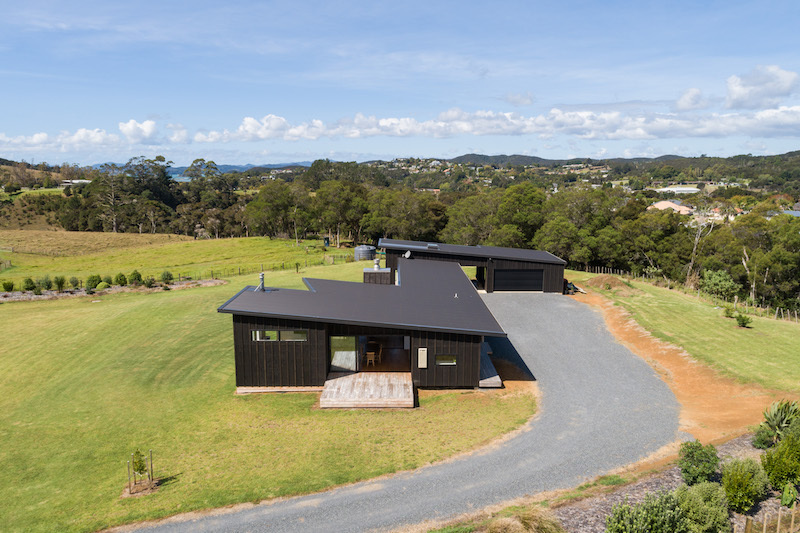 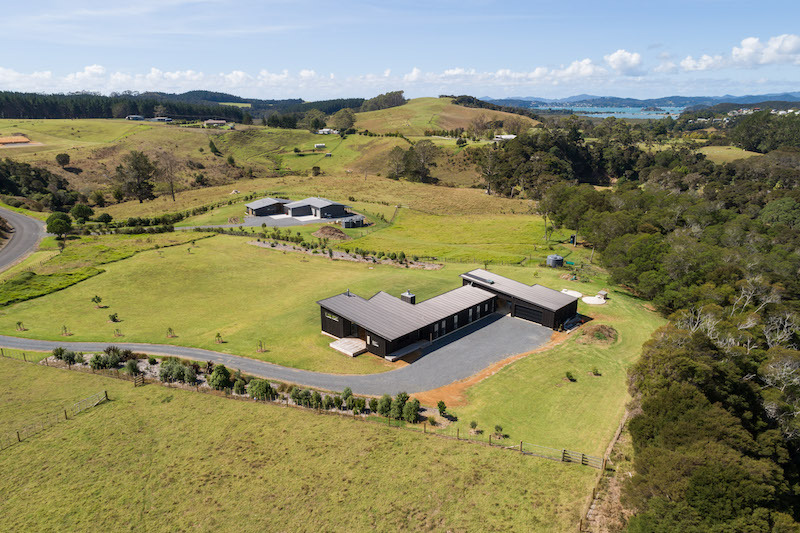 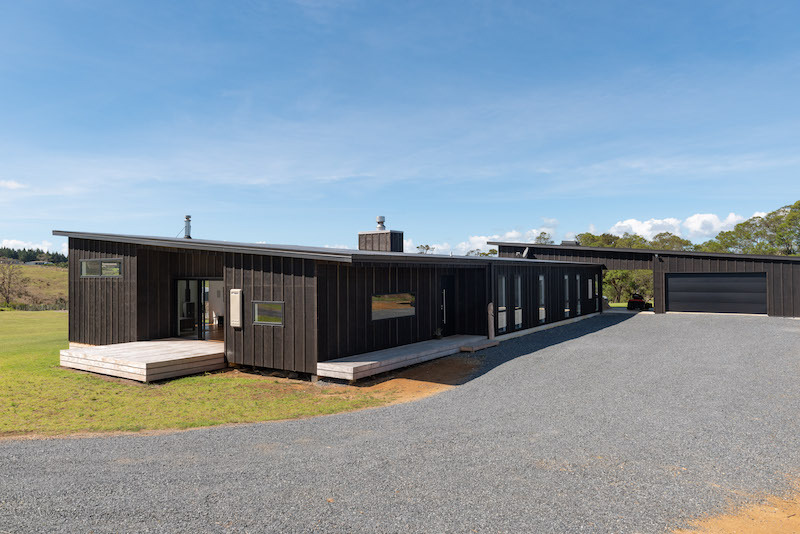 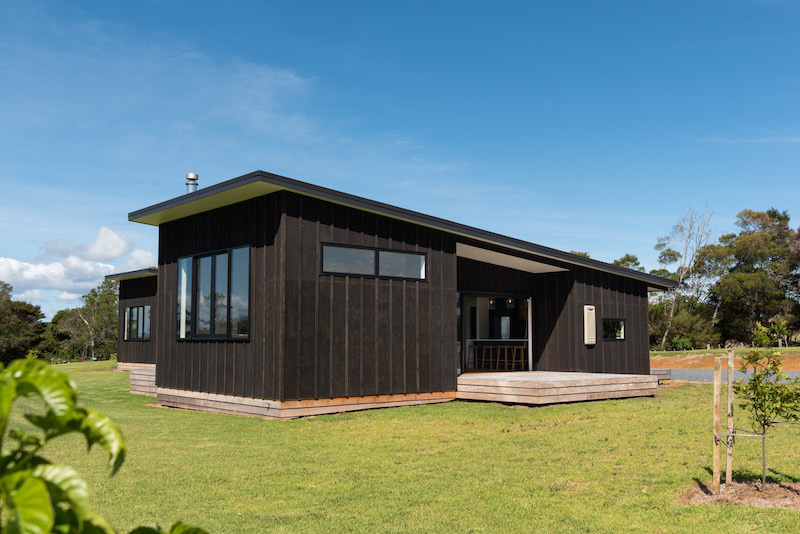 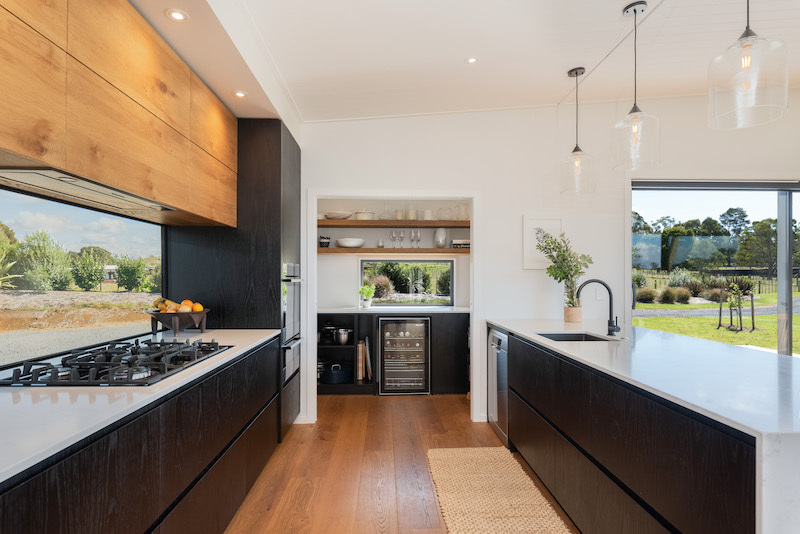 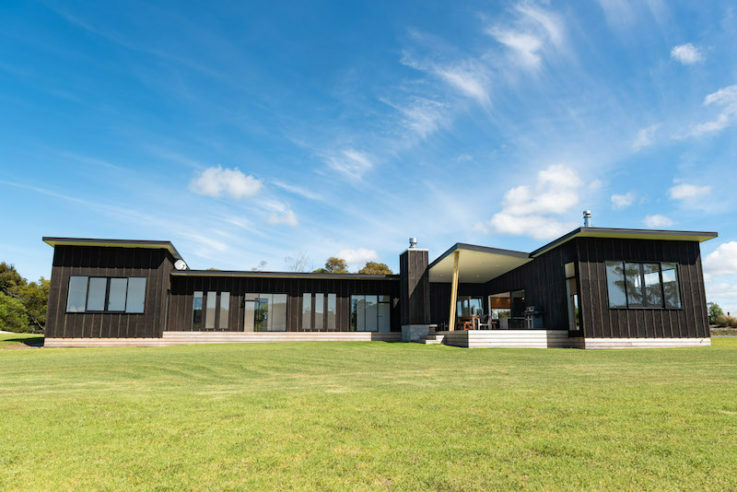 This single level home for a young family, we designed with a layout that captures all day sun while providing shelter from the prevailing westerly wind. 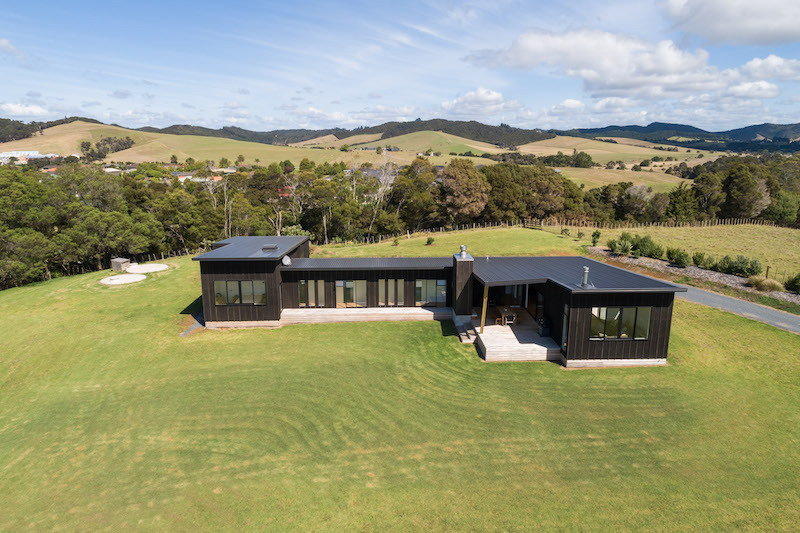 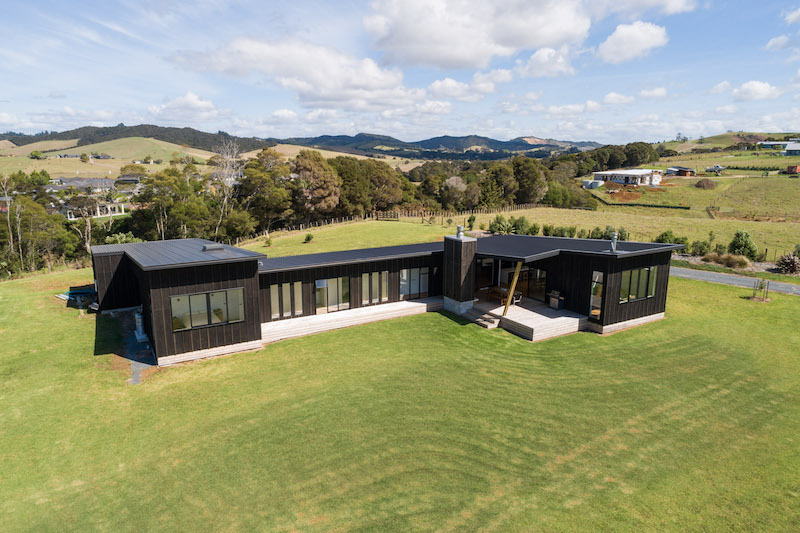 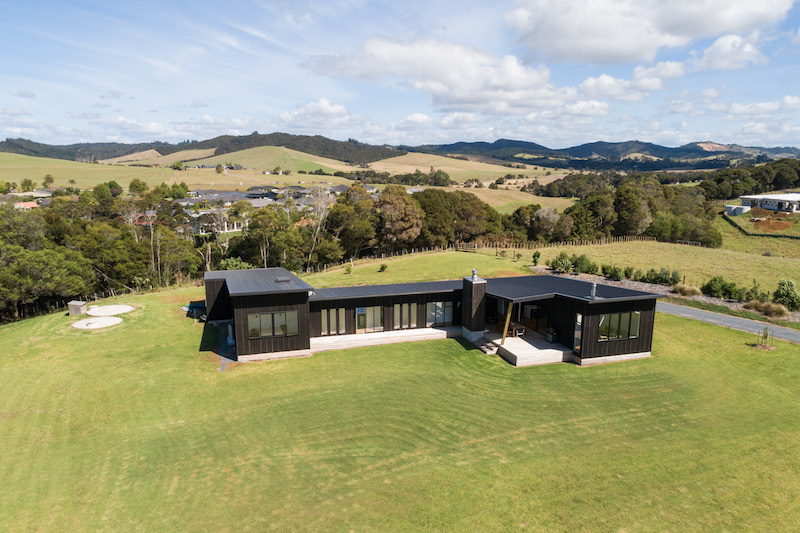 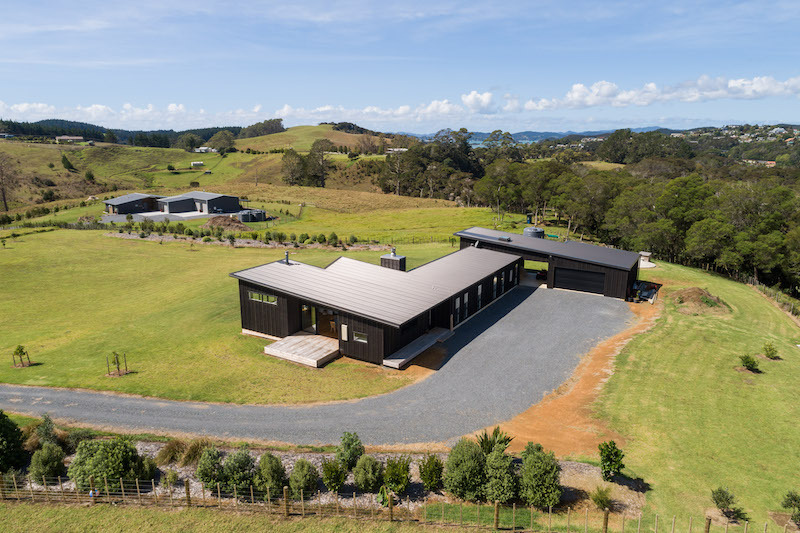 The home is positioned well back from the road and toward the south end of the site to enjoy an outlook over the generous sized site. 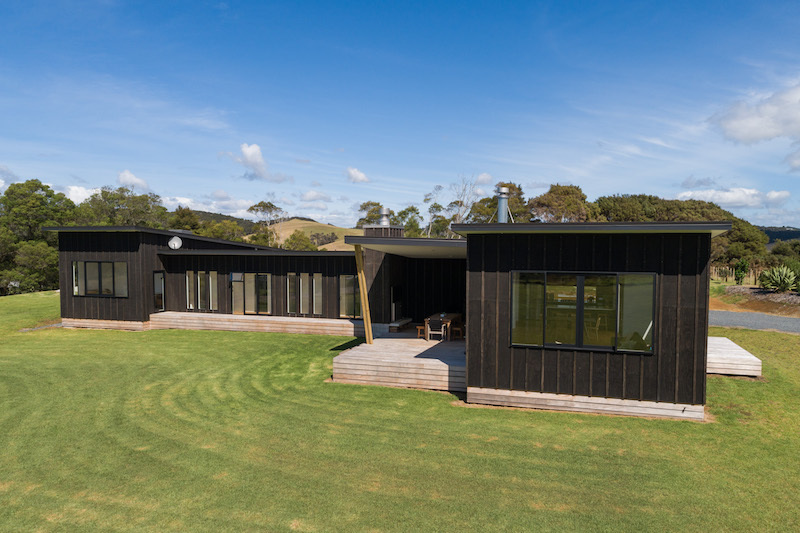 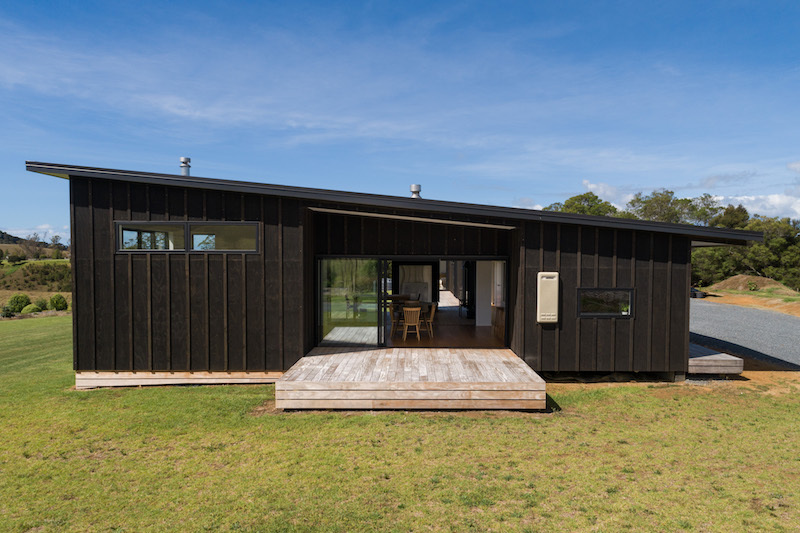 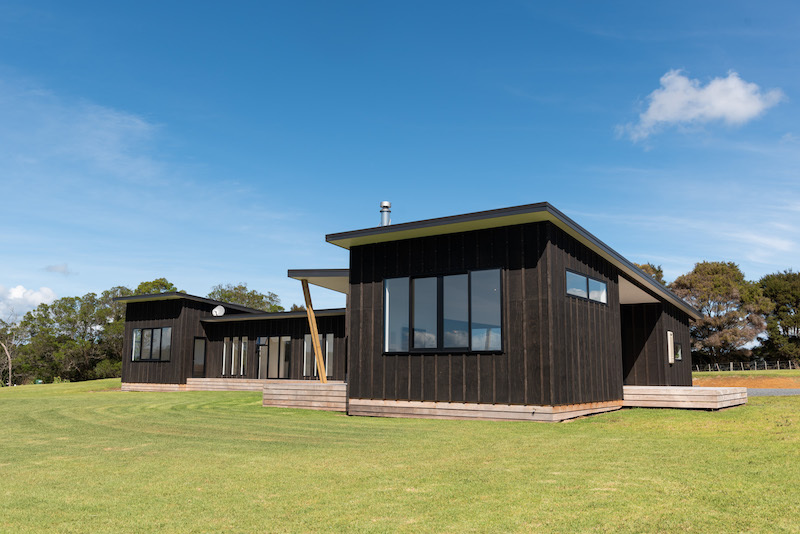 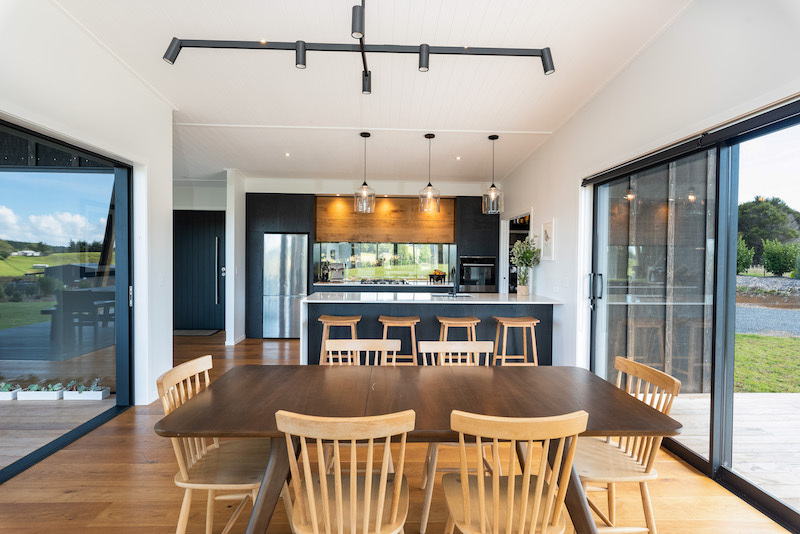 A light filled gallery space links the bedrooms to the main living area, maximising sun penetration into the structure while keeping the kids bedrooms in the shaded, cooler south side to help with early bedtimes in the hot summer months! 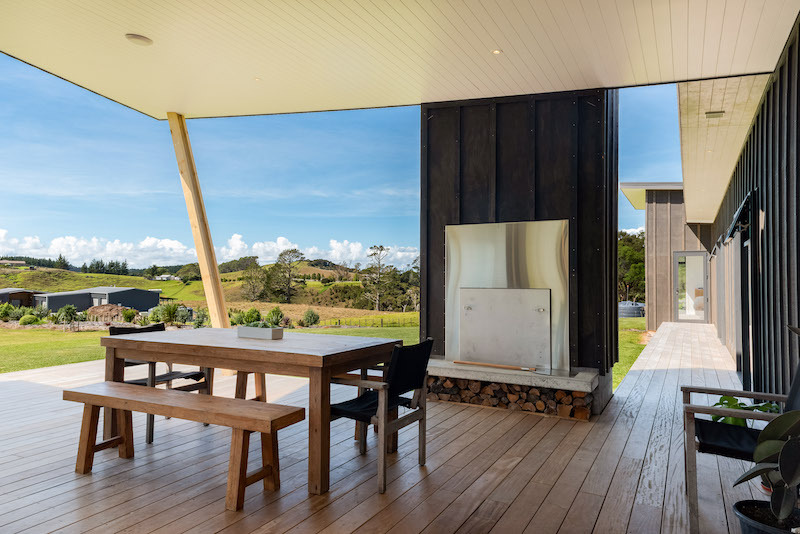 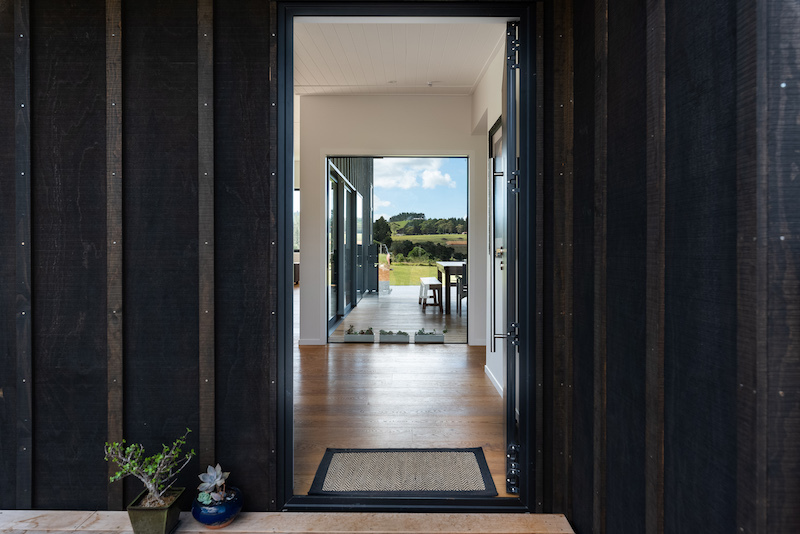 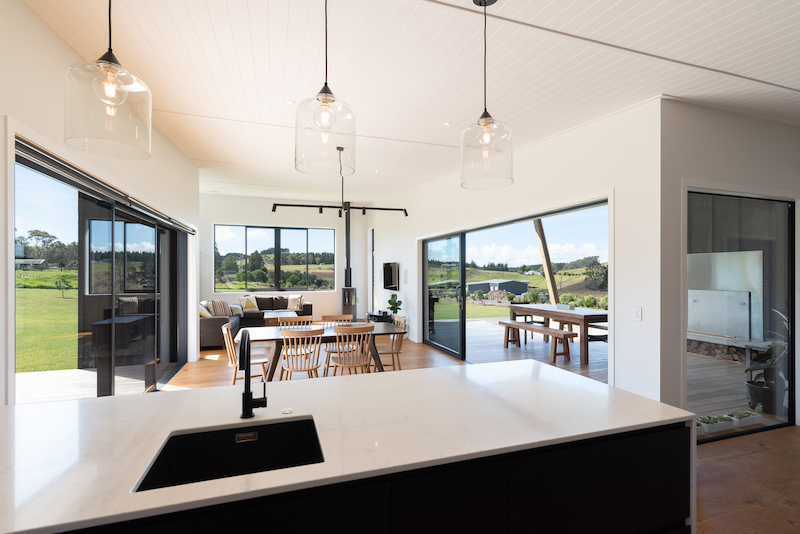 The living room runs on a south-south axis with decks either side, providing outdoor living options whether chasing the sun, shade or sheltering from the wind. 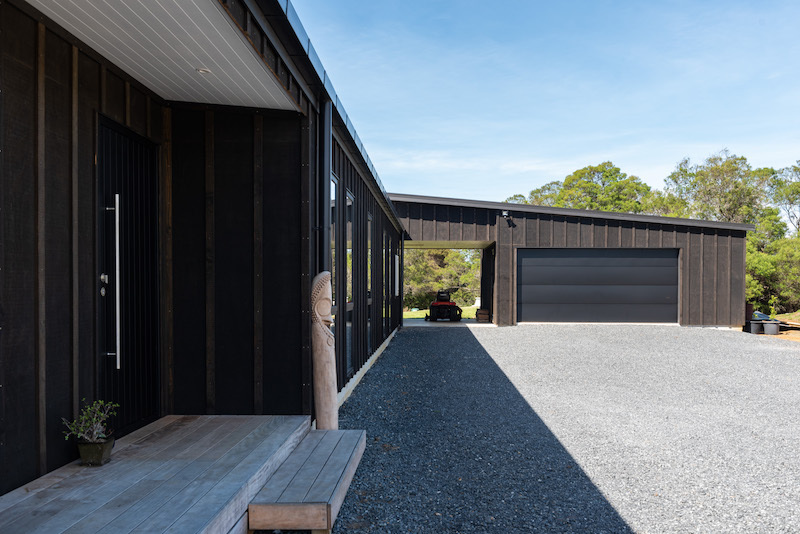 A double garage with carport link attached to the house provides all-weather outdoor utility space.